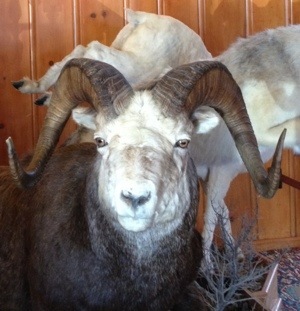 This bighorn sheep in the lobby of the Stagecoach Inn stares back at you with a serious look. Hey trophy hunters what’s up with you? The taxidermist did a good job. Bighorns have been living in Yellowstone Park for a long time. They were hunted by the Shoshone Tukadica tribe who ate the meat and used the hide for clothing. The Tukadica were called ‘Sheep Eaters’ by the white men that were acquainted with them. No one seems to have recorded what the Tukadica called the white men. 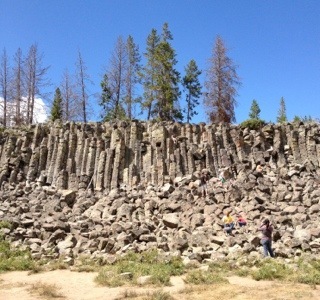 This entry was posted in Montana, Travel Blog and tagged iPhone, Montana, Travel, Vacation, Wyoming, Yellowstone by carto. Bookmark the permalink.